Custom Design Available. Gusher Pumps, manufacturer of Rumaco®, Ruthman, and Gusher® pumps, represents one of the largest selection of centrifugal pumps available from a single manufacturer. 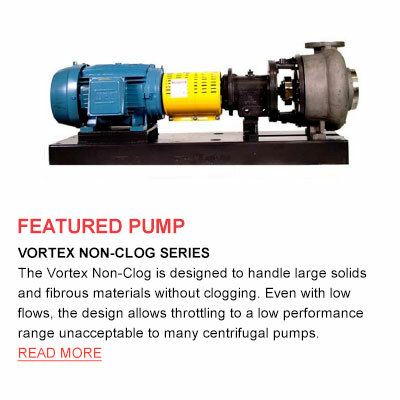 Models include close-coupled pumps, end suction pumps, immersed pumps, self-priming pumps, vortex pumps, sludge pumps, multi-stage pumps, full cantilever pumps. Many in vertical or horizontal styles. 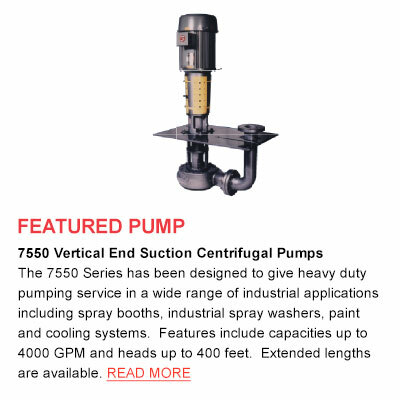 Ideally suited for small and large flow rates, and our multi-stage pump is capable of heads in excess of 800 ft. We also offer a range of diaphragm pumps, and turbine pumps. 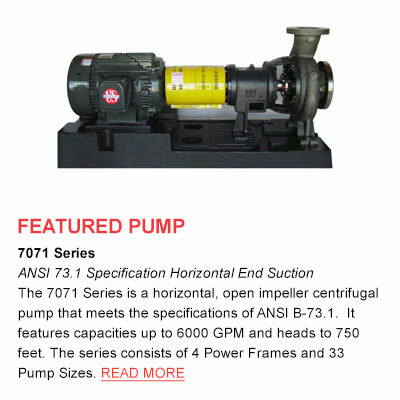 Numerous models and sizes permit selection of the most hydraulically suitable pump for many capacity/head ranges without having to up or down size operating characteristics.